*moggit is a must-add to your ever-growing blog subscription list. Joy and Janet, the creators of this absolutely guilty pleasure, take snarkiness to new heights. *moggit is to home decor what Cake Wrecks is to cake decorating. Now go on. Read it. Wait - finish this post and then go. Yes. I boldly went there. And it was excellent. I'm not a trekker. I don't even think I've even seen any of the original series. 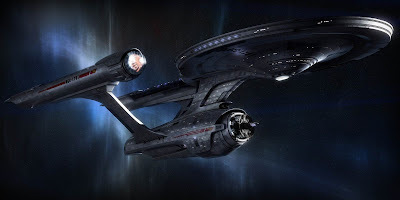 But Star Trek, the movie, was well worth the home equity loan it takes to go to the movies - great story, incredible effects, and a nice dose of humor. Did I mention I'm hormonal and Captain Kirk was looking lovely? My Mom's actually the one who led me by the hand to the Dixie Chicks (since I don't listen to a full field of country music.) Joseph reminded me this week how great they are, politics aside. The best album really is Top of the World Tour. I've included their live cover of Bob Dylan's "Mississippi" for your listening pleasure. My hubby is so making me go see Star Trek with him. I thought that's what his fellow nerd friends were for, but he can't get a single one to go! Thankfully a bunch of my non-trekkie female friends all said what you did, so now I kinda wanna see it. And yes, Capt Kirk in this movie is totally cute & that doesn't hurt, either. Thanks for making me feel better about it!